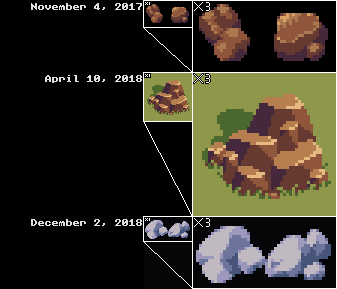 Exactly one year ago, I posted some images showing my progress practicing pixel art. I've continued practicing since then, and I think the results are quite solid! Let's get started with a quick review of the past year. Unlike last year's mostly unstructured practice, I've tried to aim for a few weaknesses in my art fundamentals and improve them. The main core skills I focused on were light and perspective, though I've been tentatively playing with anatomy and proportion lately. 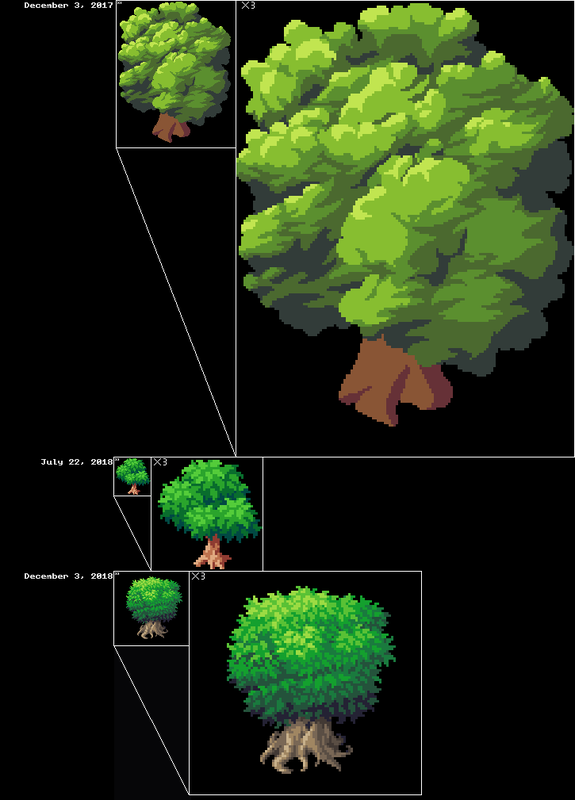 I also joined a couple of pixel art communities, which have been a very helpful source of critique. As you can see, I've made some pretty good progress! Of course, I did quite a bit more than this: Here's an album with some of this year's finished work. 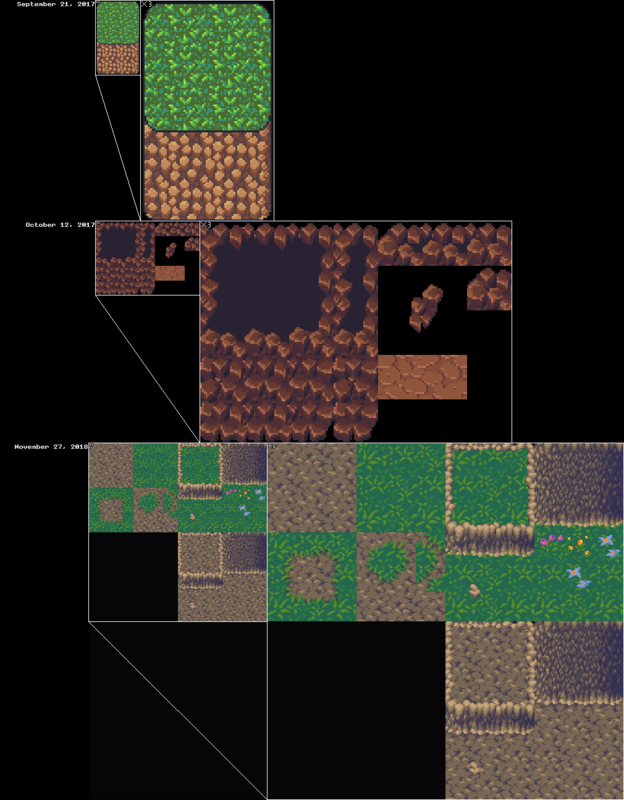 If you're interested in seeing more as I continue practicing, I occasionally post work on Twitter and Pixeljoint.